In the past few years, beach weddings have been the in-thing and a lot of people have preferred to hold beach weddings which have made the ceremonies unique. If you want to hold your wedding in a public space, you can never go wrong with a beach wedding. The good thing about beach weddings is that you have different options depending on your budget, from private beaches to public beaches. Ballroom weddings never go out of fashion, and they are some of the most affordable weddings. With some of them, all you need to do is book the venue and everything will be planned for you depending on the instructions you give but sometimes you may need to hire your own event planner. So, you can always make a decision depending on your budget and the number of people you plan on hosting. The idea of holding a wedding in a cruise ship may not be that exciting to everybody. Also, it may sound a bit costly to hold a cruise wedding but looking at the value and experience you get, it is all worth it. There are different advantages that come with cruise weddings, from onboard entertainment to food and accommodation. Instead of the usual one-day event, you get to spend quality time with your family and close friends and enjoy one of the most important days in your life with them. A downside of cruise weddings is that everyone may have to pay for their own accommodation but on the good side, it can be a vacation for everybody. While carnival weddings are not common, you can hold a unique and yet affordable wedding in a carnival. This is a great place to hold your wedding especially if you want a low-key kind of event that does not involve a lot of people. What’s more, your guests will not run out of the fun because of the games and rides available. 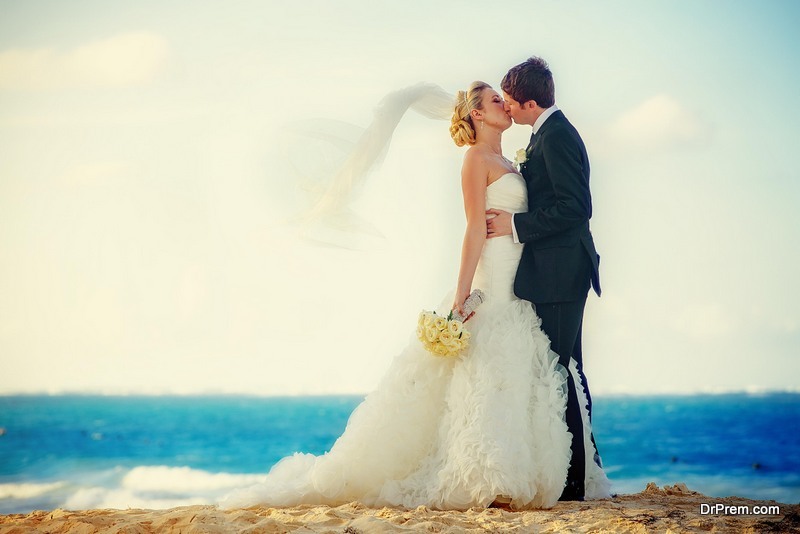 Have you ever thought of how holding a private island wedding would be? If you would love a luxury kind of a wedding, an island wedding would be the best. Some private islands usually have cabins for accommodation and this can be a great destination for a prestigious and private wedding ceremony. While other islands don’t usually have accommodation, you can camp and hold an overnight party or hold a bonfire and barbecue after party. Wedding ceremony destinations often depend on the kind of mood the hosts want to create for their guests. So whether you are looking for a Michigan Wedding Venue or a venue somewhere in the suburbs, you need to find a place that will help generate the most fun while creating the kind of environment that you and your guests were anticipating for.